Homemade diet supplements can save you a lot of money by avoiding the gimmicks and price markups of commercial weight loss supplements. Many of these ingredients may already be in your cupboard at home. You can purchase the others at most grocery stores or health food retailers. Natural diet supplements can speed up fat loss more than diet and exercise alone. Try these homemade supplement combinations to lose weight and achieve your goals fast. Drink one to two cups of coffee, supplying approximately 100 to 200 mg of caffeine twice daily. Caffeine naturally boosts metabolism by triggering more fatty acid release from body fat stores. In addition, take 150 to 300 mg of EGCG, which stands for the antioxidant epigallocatechin gallate, from green tea extract up to three times daily. These ingredients work synergistically to burn more fat, says "Homemade Supplements Secrets" author Jeff Anderson. 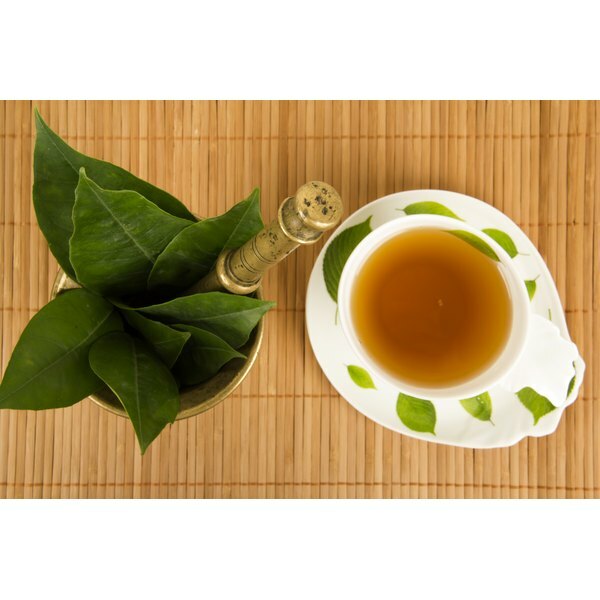 Green tea extract works better, but you can use regular green tea bags instead. Have an apple cider vinegar drink three to five times daily to speed up weight loss, says "The Miracle of Fasting" author Paul C. Bragg. You can further promote weight loss by adding a few supporting ingredients found around the house. Mix 2 tbsp. organic apple cider vinegar, 8 oz. water, one packet of stevia, 1/4 tsp. cinnamon, a squeeze of lemon and 500 mg of dandelion root. This mixture eliminates excess water weight, stabilizes blood sugar and promotes the removal of toxins from the body, says Bragg. Mix a protein shake to drink between meals, as a snack or to replace a meal. Blend one scoop of whey protein, one scoop of casein protein or 8 oz. of skim milk, half a frozen banana, 1 tsp. psyllium husk, three ice cubes and 1 tbsp. natural peanut butter. Besides being delicious, this smoothie recipe keeps you full for hours, promotes lean muscle building and speeds up fat burning. "The Fat Burning Bible" by Mackie Shilstone recommends consuming calcium-rich and high--protein foods like whey and milk. Take a cayenne or red pepper extract with the amino acid L-carnitine before each meal. Cayenne contains the chemical capsaicin, which increases metabolic rate through thermogenesis, or creating heat in the body, says Jim Stoppani, Ph.D., in the article "Supplements 101." L-carnitine acts to shuttle fatty acids into mitochondria -- the power plants of cells -- where fat burns to create energy. Either use a 1/4 tsp. of cayenne pepper or an extract that supplies 40,000 to 80,000 Scoville heat units, which indicate the heat-producing power of the pepper extract. Use 1 to 3 g of L-carnitine up to three times daily. Combine a fat burning fatty acid blend to take with your three main meals of the day. Fish oil makes up one part of the formula, providing fat burning and health boosting omega-3 fats, says "Five Fat Fighters" by Matthew Kadey. In addition, take 1 to 2 g of CLA, or conjugated linoleic acid, which also promotes fat burning and lean body mass, according to Anderson. Drink one to three protein shakes per day to make up a total of five or six smaller meals and/or snacks. L-carnitine, CLA, cayenne, green tea, whey protein and caffeine can boost your workout performance, so consider taking one serving of them before heading to the gym. Never begin taking any supplement without first consulting with your doctor. "Homemade Supplement Secrets"; Jeff Anderson; 2008. "The Miracle of Fasting"; Paul C. Bragg; 2009. "The Fat Burning Bible"; Mackie Shilstone; 2005. "Muscle & Fitness Presents 2010 Edition: The Ultimate Supplement Handbook"; Supplements 101; Jim Stoppani, Ph.D.; January 2010. "Muscle & Fitness Presents 2010 Edition: The Ultimate Supplement Handbook"; Five Fat Fighters; Matthew Kadey; January 2010.